Have you ever read the story of Paddington Bear as a child, or to your child? Whether in the US or the UK, Paddington by Michael Bond has been in classrooms and families over the years. Recently Paddington has been adapted from the book and into a film, released to the theatres in the UK and will be released in the US on Christmas Day. This prompted me to go over my own memories of reading the story as a child in the 1990s. 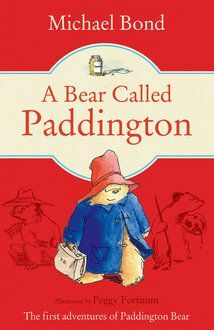 I remember reading A Bear Called Paddington in first grade (age 6-7) and loved the story. I was also shown a cartoon adaptation in my class on VHS and enjoyed them as well. According to the official website, Paddington was based on a bear that the author, Michael Brown, had purchased in a shop one Christmas Eve as a gift for his wife. He noticed it sitting on the shelf all by itself, so he picked him up and bought him. The bear became an inspiration to write a story about and Mr. Bond named him after the train station nearby the shop he purchased the bear at. In 1958, A Bear Called Paddington was published and hit the bookshelves. This book became a hit both at home and abroad, inspiring many more books and stuffed versions of the bear. If you do not know the story of Paddington, I will give you a bit of his backstory. 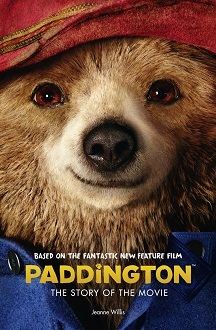 Paddington’s story begins in Peru where he lived with his Aunt Lucy and Uncle Patuzo. He was sent to Britain by his Aunt Lucy, travelling as a stowaway on a lifeboat. He ends up at Paddington Station where he found by Mr. and Mrs. Brown. He is seen sitting on his suitcase, a note simply pinned on him reading “Please look after this bear. Thank you.” So, the Browns named him after the station and bring him home. Paddington’s appearance is of brown fur, a coat that is sometimes blue, red, or yellow (at least from what I have seen in the pictures as a kid), and a hat which is also sometimes blue, red, or yellow but his usual combination is the red hat and blue coat. He has a well known love for marmalade which he realized when he was on his move from Peru to Britain. He loves marmalade so much that he makes them into sandwiches! It didn’t specify what type of marmalade, whether it was orange or grapefruit, but you can always leave it to your imagination! With the recent movie adaptation, I am very much looking forward to see it and possibly taking my nephews with me. It is bringing back the bear in a whole new way with live action and computer animation. The film has an ensemble cast, including Doctor Who’s Peter Capaldi, who is known as the Twelfth Doctor, although he plays a smaller role. Like I previously mentioned, the film has been released in the UK but is coming out in time for the Christmas season in the US. If you are looking for a good family film, check out Paddington! And have a marmalade sandwich in celebration with a good cup of tea! A grateful nod to the blokes at Paddingtonbear.co.uk for their generous permission in furthering the reach of the beloved bear.